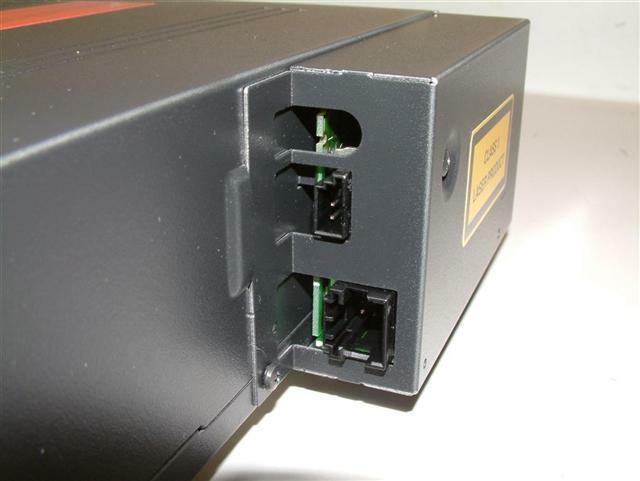 Brackets are not part of CD changer as they are different for each BMW series. We do have some mounting screw and bracket kits available in the options section below. THIS IS THE BMW CD CHANGER THAT PLAYS MP3s. Don't waste your time with other CD changers that may or may not work. 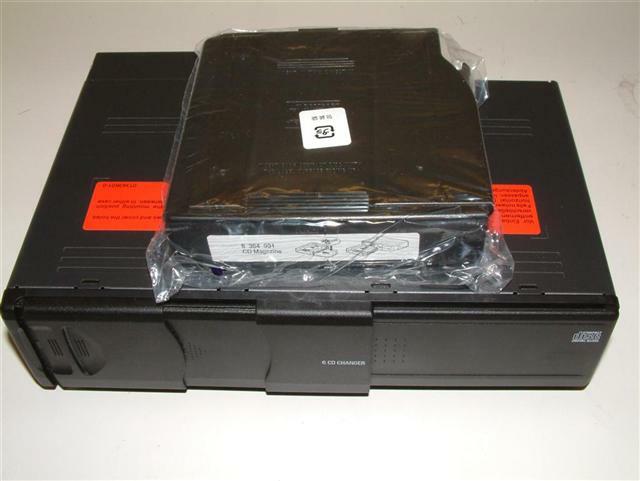 CD changer works in all BMWs with standard 3 pin and 6 pin audio input connector. Will work with BMWs equipped with DSP IF they were built after 09/01 and do not use the SPDIF cable from CD changer to DSP amp. BMW no longer uses this SPDIF cable in order to support the Sirius radio audio inputs. 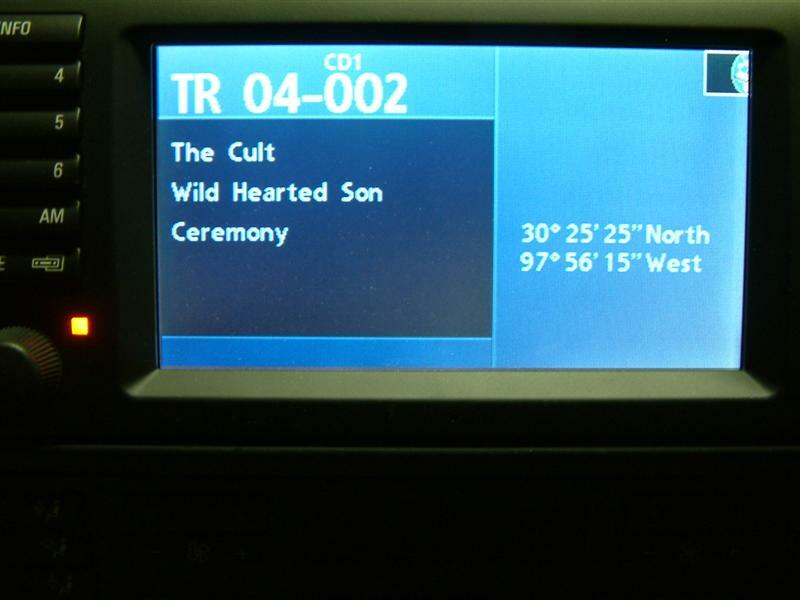 If your BMW radio was manufactured (or replaced) AFTER 08/05 your display will also show MP3 ID3 Audiotext as shown below! 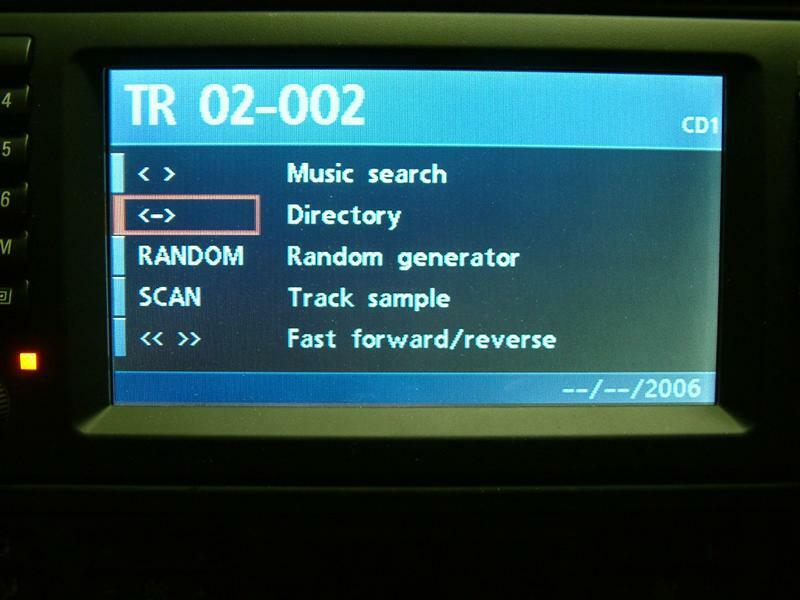 Audiotext is displayed in cars with and without navigation! 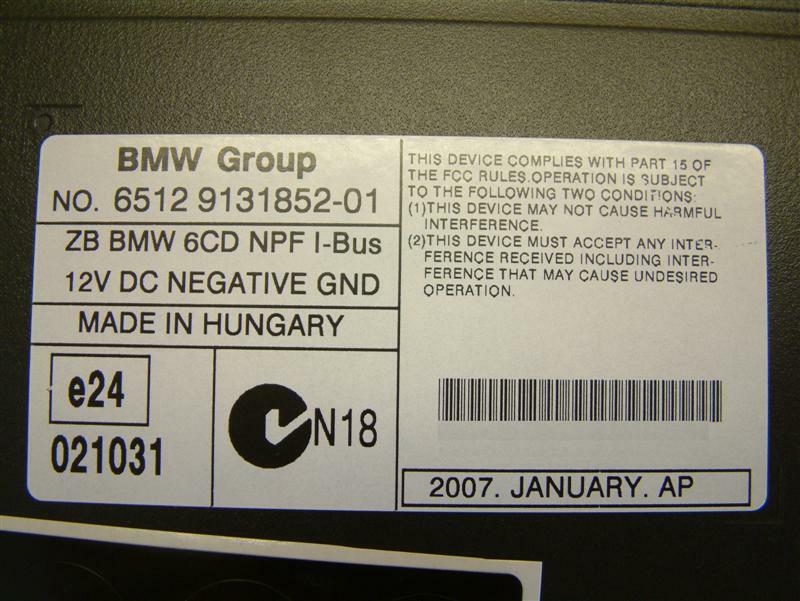 This CD changer is fully supported by the following BMWs without any upgrades required. BMWs listed below will show full MP3 ID3 tags when CDs are formatted properly.